Tags: fox, janod, puzzle, wooden-toy. 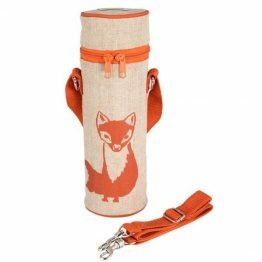 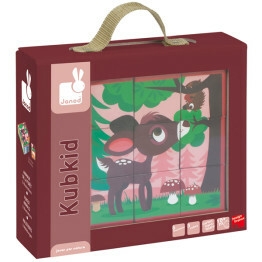 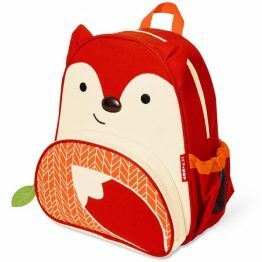 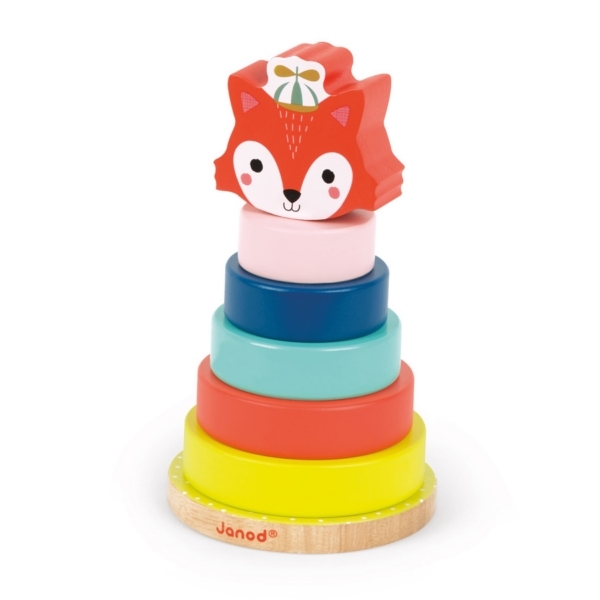 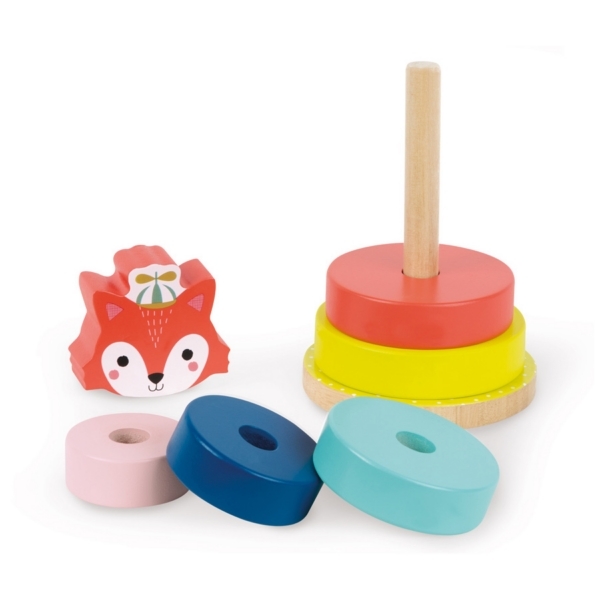 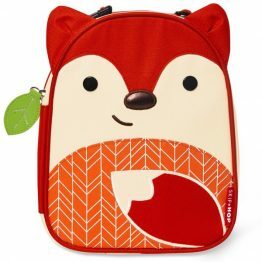 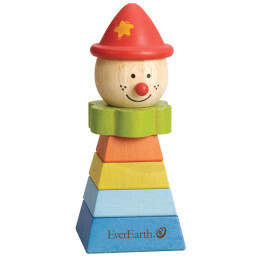 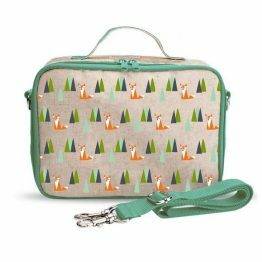 The Janod Fox Stacker Wooden Toy is great for coordination and shape recognition. 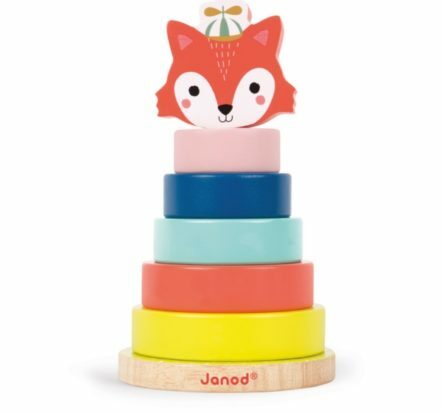 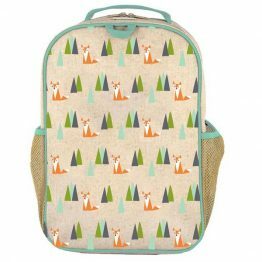 The Janod Fox Stacker is aimed at littlies who need the poles to help stack their pieces securely, but once they are an old hand at puzzles they can stack without the need for a base or create their own zany fox!